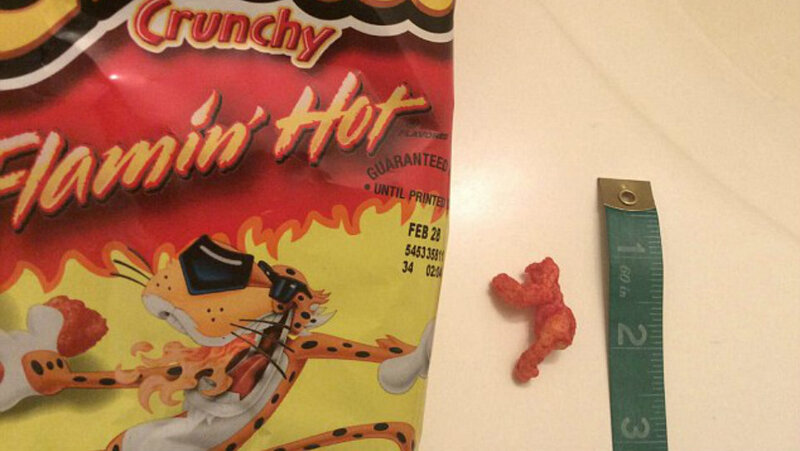 On Jan. 28, eBay user valuestampsinc listed a Flamin’ Hot Cheeto that resembled an orange, puffy version of Harambe, setting the minimum bid at a decent $11.99. The listing included a photo of the unique Cheeto alongside a photo of the real Harambe climbing a tree, and the resemblance was clearly close enough to justify the asking price. However, after the listing went viral on social media the bidding got out of control, and by Feb.7, when the bidding was scheduled to end, the Harambe-shaped Cheeto had been acquired for a whopping $99,900. If this bid turns out to be genuine, this would have to be the single most expensive Cheeto cheese puff in history ebay says.